Every year adidas launch a range of football boots to coincide with the new Champions League season, with the Predator leading the charge. 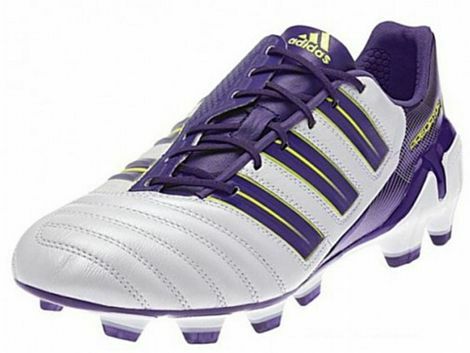 The 2011-12 season is no different as the latest adidas Predator receives it’s first splash of UCL livery with the adiPower – Champions League White/Purple! 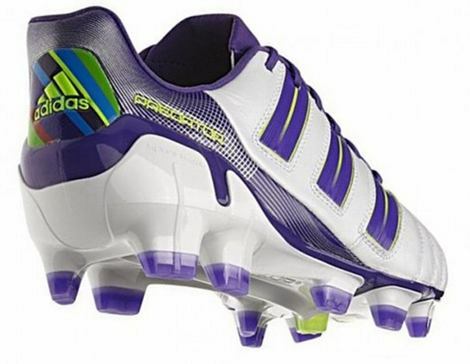 As you can probably tell, the new adiPower – Champions League White/Purple draws heavily on the colourscheme that adidas has laid out for this year’s competition, with Purple and white being the main colours, along with a ‘spectrum’ motif that represents the players, fans and teams that make up the biggest and most diverse club competition in world football. 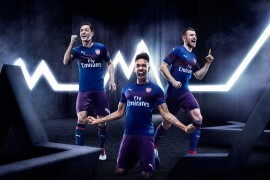 We’ve already seen adidas implement this eye-catching colourscheme on several products this season, including the in Finale 11 Champions League ball, and Petr Cech’s signature goalkeeper gloves. 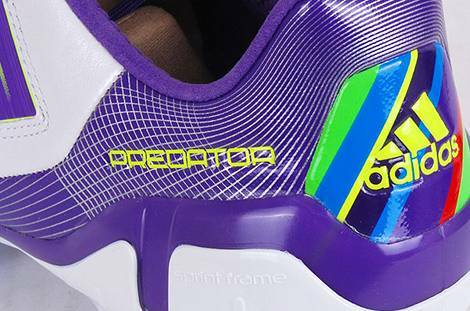 However, unlike the Chelsea stopper’s custom mitts, adidas have mercifully restricted the rainbow patterning to the logo in the heel counter of these football boots! 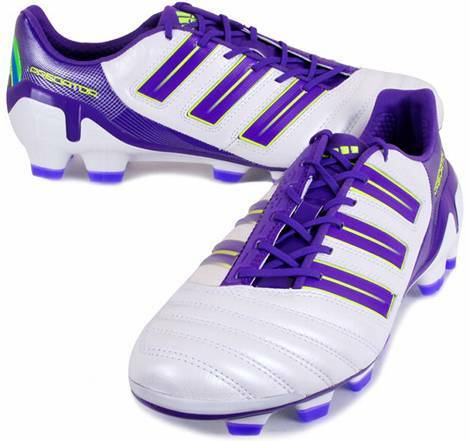 Despite having only hitting the pitch for the first time in May, the adiPower – Champions League White/Purple is surprisingly the 5th colourway of adidas’ signature power football boots to hit stop shelves – or indeed the 7th if you include the Women’s colourway! And whilst not having any of the Electricity or Sharp Blue we’ve come to expect of the new adiPower, we definitely think this colourway certainly suits the adiPower down to a tee. 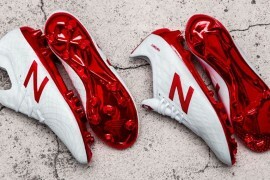 For starters, those who complained about the white SprintFrame on the bottom of these football boots will now have nothing to complain about as it blends in with this colourway flawlessly! 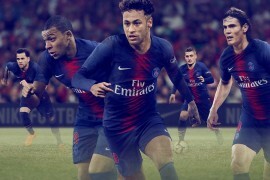 The group stages of the Champions League kick off on the 13th of September, with a whole host of mouth-watering clashes to look forward to. 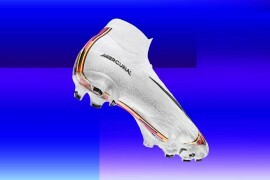 However, fans of football boots can now look forward to seeing which of the top players in Europe take to the pitch in the adiPower – Champions League White/Purple. 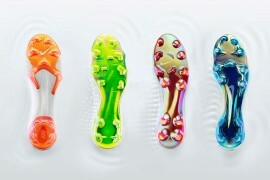 Now that the season is properly under way, we’ve been able to get a proper look at how many players have made a switch to adidas’ latest football boots – and it seems that the adiPower is continuing the Predator legacy of being one of the most popular soccer cleats among professionals. Whilst good news for adidas, it’s certainly unsurprising for those in the know – the 235g adiPower is a dynamite combination of lightweight design, power and control. In fact, our play-test of the adiPower proved it might well be one of the best football boots on the market at the moment. Though we’ll be able to see them on the feet of the pro’s from next week, we’ll have to wait until the 1st of October to get our hands on a pair of the new adiPower – Champions League White/Purple, when they’re expected to retail for around for around £155/$250. 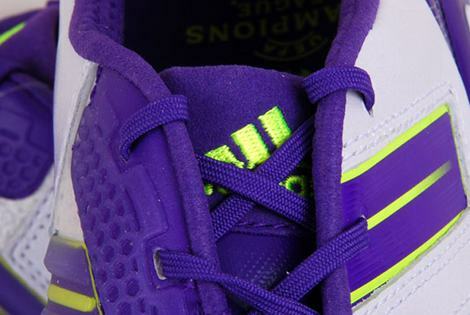 What do you think to the adiPower – Champions League White/Purple? Let us know in the comments, or use the boot-o-meter! Previous articleNEW FA STUDY: YOU’RE NOT PLAYING ANYMORE! Just wish they were cheaper! 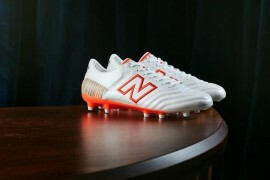 And that is how you ruin a perfectly good football boot.